… there was a ten-year old growing up in the early 60s in New York City. She loved reading, but couldn’t see herself in the world of Nancy Drew (what girls read), OR with The Hardy Boys (what boys read). That girl was me. So…I set off to seek my fortune, got lost in the 398 (Folklore & Mythology) section of the public library, and haven’t found my way out yet! Along the way, I did a lot of serious things – I studied Japanese language and culture, living in Japan for two years. I worked in international exchange and cross-cultural education and corporate personnel training, I got an elementary teaching credential midlife while working as a teaching assistant at an independent school and raising two wonderful kids. I tried to do it all perfectly – hahaha! Reading bedtime stories to my kids reminded me of those fairy tales I’d loved so well. One night, my daughter requested not another book but, “Tell me a story from mind, Mommy.” Not knowing how to do that, in one of those remarkable moments of serendipity I met someone who told me about the great Storytelling Certificate Program at Dominican College (sadly no longer running). I became what I never thought I had the nerve to be – a performer! Hey, I realized, my grandparents ran a summer camp for 40 years – I can make a fool of myself in public with the best of them! But it was my love of the stories and the empowerment of using my unique voice to connect with others that motivated, and continues to motivate me. And coming from a family of teachers, nothing is more rewarding than helping people realize they have a story to tell, and giving them the safe and fun support to take a risk and tell it. 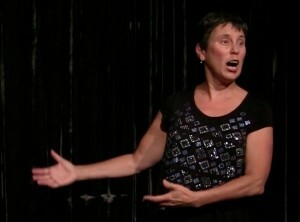 In 2006 got my dream job – Director of Storytelling Programs at Stagebridge, the nation’s oldest senior theater company. Although I am no longer on staff, I am lucky to continue working with Stagebridge in the community as a teaching artist. It was while at Stagebridge that I discovered TimeSlips, the ground-breaking storytelling method designed to open storytelling to everyone, including people with Alzheimer’s, by replacing the pressure to remember with the invitation to imagine. Becoming a facilitator and master trainer has taught me so much and brought great hope and delight into many lives, including my own. In 2008, on a storytellers’ cultural exchange trip to India with Eth-Noh-Tec, I discovered Laughter Yoga. I’d laughed at myself for years in yoga class (shall we say I’m NOT the most limber person on earth!) – but this was different. A perfect way to be happier and healthier by being…playful! Back home, I got my Laughter Leader certification at the UCSF Osher Center for Integrative Medicine. 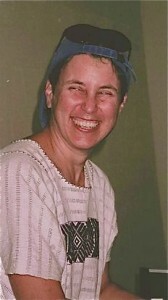 I now co-lead the weekly Oakland Lifefire Laughter Club with the wonderful Annie Goglia – drop in and join us any time! 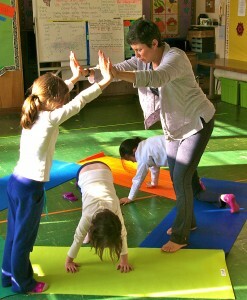 Returning from two years in Washington DC where my husband has been working on health care reform, in fall 2012 I took my love of yoga and storytelling in another direction and became a Certified RainbowKidsYoga Teacher. Using what I learned in this amazing training from the fabulous Amanda McFadyen, I now teach and play with preschoolers and elementary students, watching them grow stronger, more focused and more self-confident through creative co-creation of yoga stories, games and adventures. I look forward to bringing it all together by creating venues for kids, parents and GRANDPARENTS to connect with each other through yoga and movement. 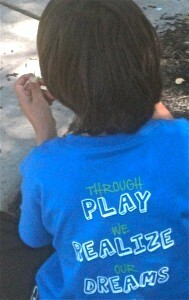 Again it’s about the amazing POWER OF PLAY!